HorseDream Canada is nestled in the charming countryside of the Kawartha Lakes on the 50-acre equine facility, Wilson H2 Ranch. We are located less than 90 minutes from downtown Toronto. 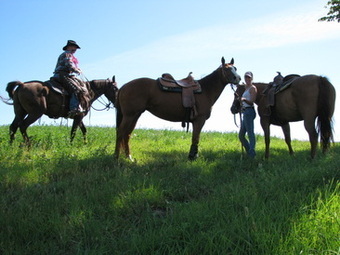 Attend a HorseDream Canada training and experience the sweet smell of growing hay, fresh air, open fields and always changing spectacular skies. Keep your eye out for the resident deer, foxes, and coyotes, or the grazing cattle and horses in our fields. When you have completed the program, stick around to visit seasonal festivals, antique stores, local livestock sales barn, and market gardens. Should your team choose to stay in the area overnight, contact us and we can connect you with a variety of nearby lodging options that will suit your needs and budget.